The 36-inch Accessory Grill Box allows the best of both worlds. Simply lift off the griddle top and attach the Grill Box for traditional taste of BBQ grilling. 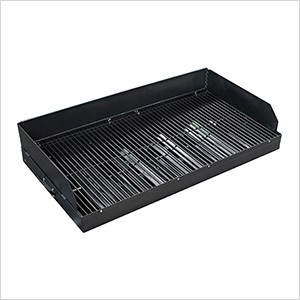 Now with 36" of grill space your griddle can grill shish-kebabs, grill marked burgers, hot dogs, BBQ chicken, and other favorite BBQ dishes. Windscreen and drip tray included.